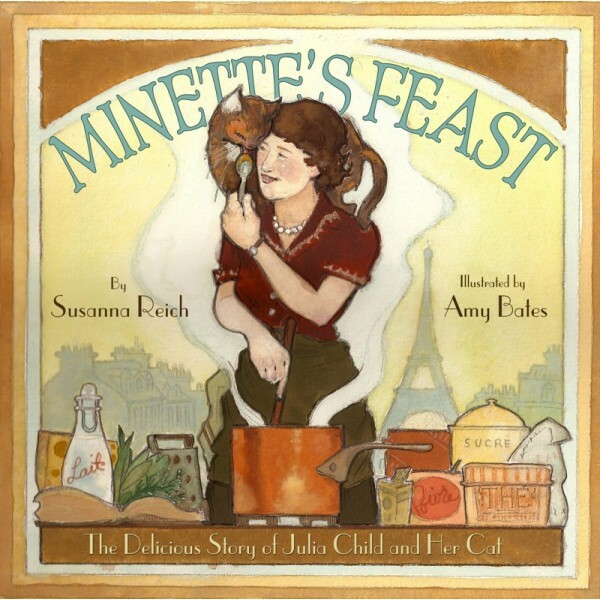 Minette's Feast introduces the iconic American chef Julia Child to a new audience of young readers through the story of her spirited cat, Minette, whom Julia adopted when living in Paris. While Julia is in the kitchen learning to master delicious French dishes, the only feast Minette is truly interested in is that of fresh mouse! This lively story is complete with an author's note, a bibliography, and actual quotations from Julia Child. It was published in 2012 in honor of the 100th anniversary of her birth.